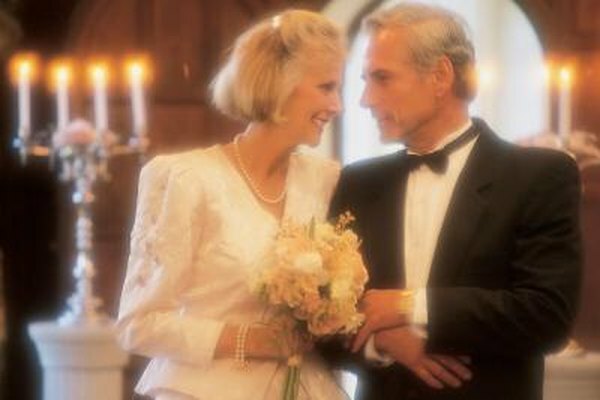 If your marriage was annulled, the IRS says it never happened. 1. If You Are Separated Can You File Single on Your Tax Return? 2. Do You Have to Be Legally Married to File Married Status for Income Taxes? 3. Can I Amend My Tax Return From Single Status to Married Filing Separate Status? Calculating your tax liability when you're married can be hard enough, and doing it after a divorce can be even more complicated. Annulment throws a whole new monkey wrench into the proceedings. If a court annulled your marriage, it means that, in the eyes of the law, you were never married in the first place – the wedding didn't happen. The Internal Revenue Service agrees, so if you filed tax returns during the time you were "never married," you might be straightening out the situation for a year or two to come. If you filed either a separate married return or a joint married return while you were "never married," and if you then had your marriage annulled, you used an incorrect filing status. The IRS expects you to file Form 1040X, the amended return, under the appropriate filing status – either as a single taxpayer or as head of household, depending on your circumstances. If you filed as head of household while you were married, take your return to a tax professional for review. You might not have to file an amended return if other factors besides your marriage remained the same. The next question is how long you have to amend your return. Normally, you can't "undo" a joint married return past the due date, typically April 15. If your marriage was annulled, however, the IRS bends its rules a little. You have three years from the due date or two years from the date you paid any associated taxes. If you filed for an extension that year, the clock begins running not from the extended due date, but from the date you actually filed. If your annulment erased a marriage of several years' duration, the IRS only requires that you amend returns for the last three years. Amending your return generally involves a lot more than just checking off a different filing status. Your filing status affects your tax bracket, the tax credits you might be eligible for, and your standard deduction. For example, if you earn a substantial income but your spouse earned very little, filing jointly probably lowered your tax bracket so you'll pay more if you have to file an amended single return. If you qualify as head of household, the standard deduction in 2013 is $8,950. It's $6,100 for married taxpayers who file separate returns and double that – $12,200 – for those who file joint returns. This amounts to a difference of $2,850 off your taxable income, so you might benefit a little by amending your return. If you're due a refund when you change your filing status, the IRS will send you a check. Otherwise, you'll be sending a check to the IRS. Head of household is a complex filing status, particularly if the court annulled your marriage. If you qualify, however, it can be quite advantageous. If your marriage was annulled on or before December 31, the IRS considers you unmarried for that tax year, so you qualify as far as marital status is concerned. Even if your decree is dated the following year, if you didn't live with your spouse for the last six months of the tax year, you can still qualify as head of household. However, you must also have had a dependent who lived with you more than half the year and you must have paid more than half your household's expenses. If you think you meet these criteria, speak with a tax professional. It might make the difference between a refund and owing taxes when you amend your return. Slate: Does Janeane Garofalo Have to Amend 20 Years of Tax Returns? Beverly Bird has been writing professionally for over 30 years. She specializes in personal finance and w, bankruptcy, and she writes as the tax expert for The Balance. Can I Force My Separated Husband to File Income Tax as Married Filing Jointly? Can I Change My Taxes From Married Filing Jointly to Head of Household? Can I Claim Head of Household if I'm Still Legally Married but Not Living Together With My Spouse? If My Domestic Partner Lives With Me, Can I Claim Head of Household? Can You File a Joint Return if You Are Married & Don't Live Together? Do I Have to Pay My Dead Husband's Back Taxes?